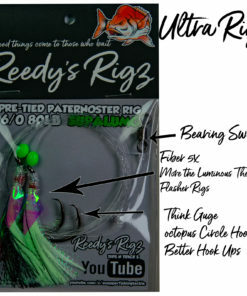 Introducing Reedy’s Ultra Rig: A New and Much Improved Version of the Flasher Rig! 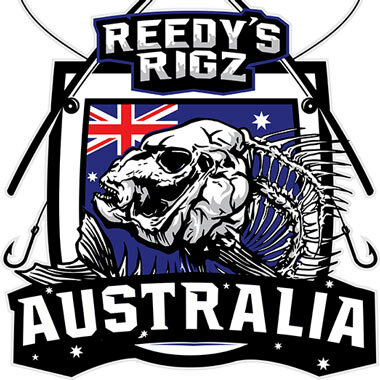 Australia is a noisy democracy, but there are a few things we can all agree on: There’s nothing more fun and exciting than fishing in Australia. 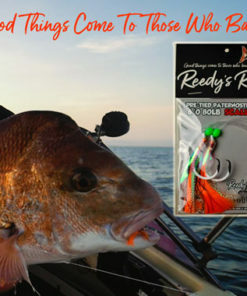 Fishing in Australia is a family activity, an excuse for everyone to get together – Mom, Dad and the kids. 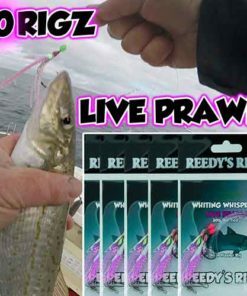 Grandma can join in too! 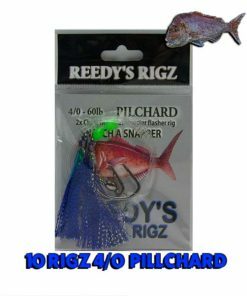 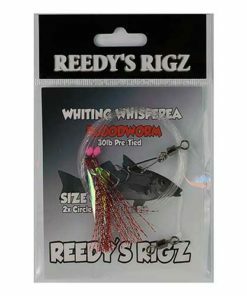 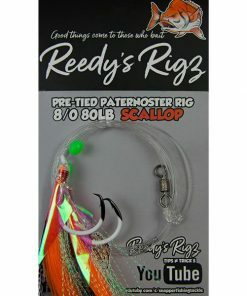 Reedy’s Rigz makes high quality fishing gear and equipment for the whole family. 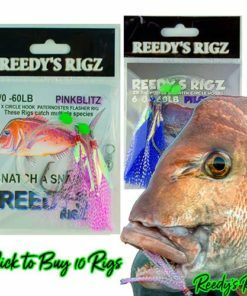 Yes, our pre-tied fishing rigs are just as useful to the professionals as they are to recreational fishers or those who enjoy fishing as a hobby or a sport. 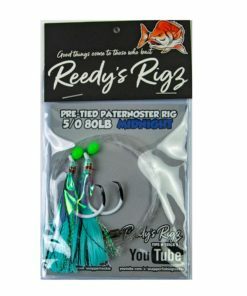 Our Paternoster rigs such as the Flasher Rig are easy to use, highly effective and guaranteed to catch fish in their dozens, no matter which method you use or where you fish, on a boat, or on land. 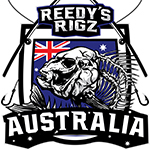 Reedy’s Rigz is one of the most trusted and family friendly fishing brands in Australia. If you have purchased our fishing rigs before, you already know how good they are. 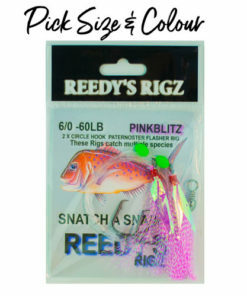 If you haven’t already, well, what are you waiting for! 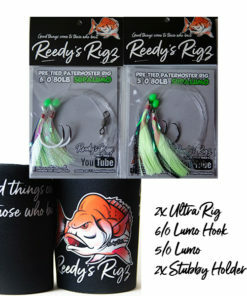 We believe in constant and continuous improvement, and we are happy to announce that the launch of a brand new fishing rig, by far the best fishing rig on the market, the Reedy’s Ultra Rig! 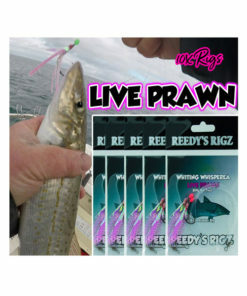 Reedy’s Ultra Rigz is a new and advanced type of fishing rig. 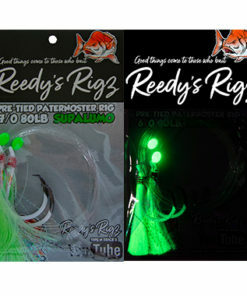 It is a pre-tied, Paternoster rig that uses UV fibre and glows in the dark. 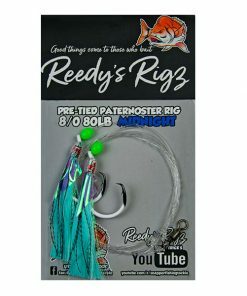 Reedy’s Ultra Rig is tied in a Paternoster formation. 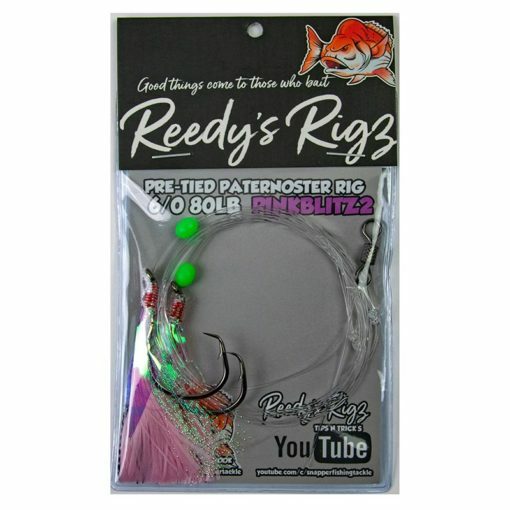 Using Paternoster rigs is one of the best long distance methods for catching fish. 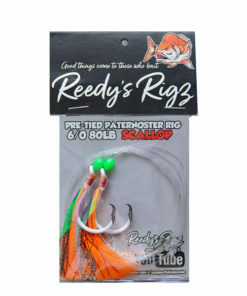 You can also use this method mid-range from close-in. 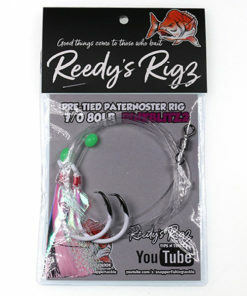 A Paternoster Rig such as Reedy’s Ultra Rigz has two main parts: One that has the lead attached and the other that has the hook attached. 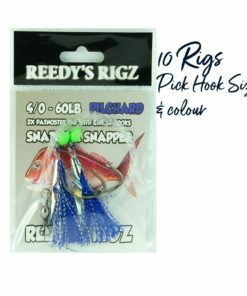 The main purpose of this rig is to offer as little resistance as possible to the fish, just as it moves off the bait.